Ireland’s love affair with wine has left a legacy of wine vaults. Some have been converted and are now being used as restaurants, Ely in Dublin and Holy Smoke in Cork spring to mind. 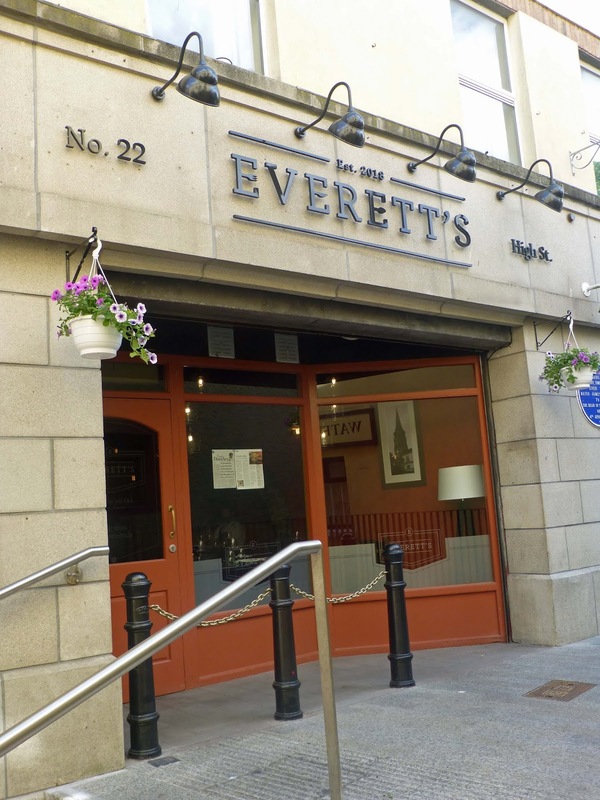 The latest are Everett’s in High Street in Waterford who are using the 15th century vaults of a local mayor. James Rice gave this wine vault and the dwelling above it to Dean John Collyn on the 6th July 1468 and it was used to house the priests of the new chantry chapel built by Collyn until 1520. 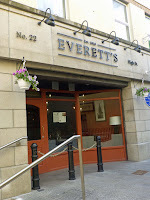 Now Everett’s, just opened a few months back and already gaining quite a reputation, are using the building for their 58 seater restaurant. The street level room seats 28 while the vaults below cater for 30. It is quite an atmospheric place, especially if there’s a party going on downstairs! But no great point in having a historic venue for your restaurant unless the food is good. And that’s where chef Peter Everett, who owns the restaurant with partner Keith Noonan, comes in. The Chapter One trained chef, back in his native Waterford, is using the best of local produce and using it well. 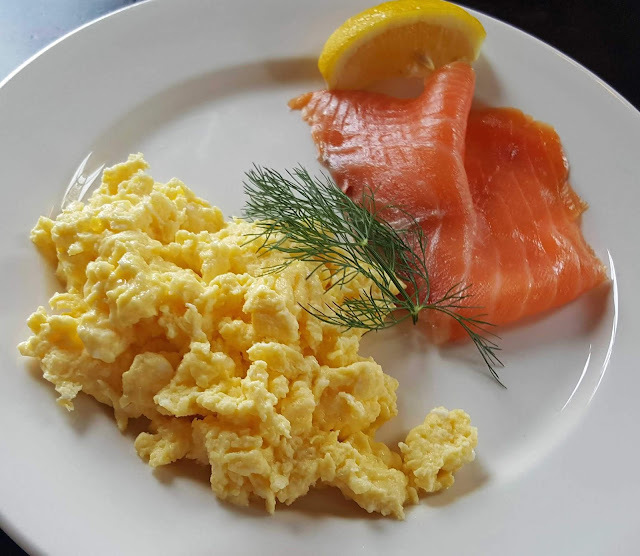 Beautifully cooked and presented plates are flying out of the kitchen and the customers are flying in. The menu is short but long on quality. Three courses here will set you back forty euro. Let me be clear. It is not a set back, it is great value considering the high quality. And I reckon the Pre-Theatre menu is probably even better value. You may like to know that they do lunch on Fridays and Saturdays (not on Sundays). We called there recently and, after an initial “set back” about the reservation, we settled in and throughly enjoyed the accomplished cooking and the service from start to finish. 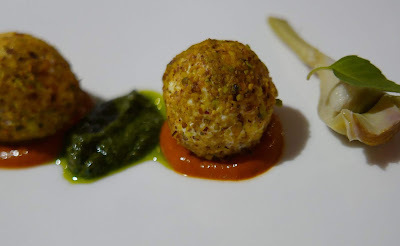 We had five starters to pick from and one was the Knockalara Sheep’s Cheese with pistachio, baby artichoke and roasted red pepper. 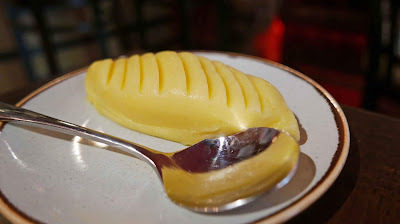 The cheese, made by Agnes and Wolfgang Schliebitz in West Waterford, was the centrepoint of a delightfully delicious dish. 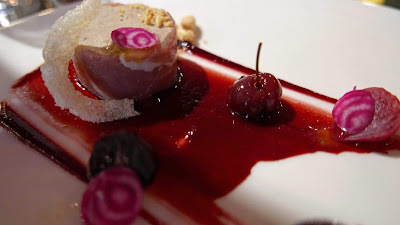 Our other starter was the Andarl Farm Free Range Pork Rillettes, Cherry, Beetroot and Almond. Another winner, again beautifully presented, a gorgeous toothsome combination. Needless to say, two empty plates went back. And that was to be repeated, twice! 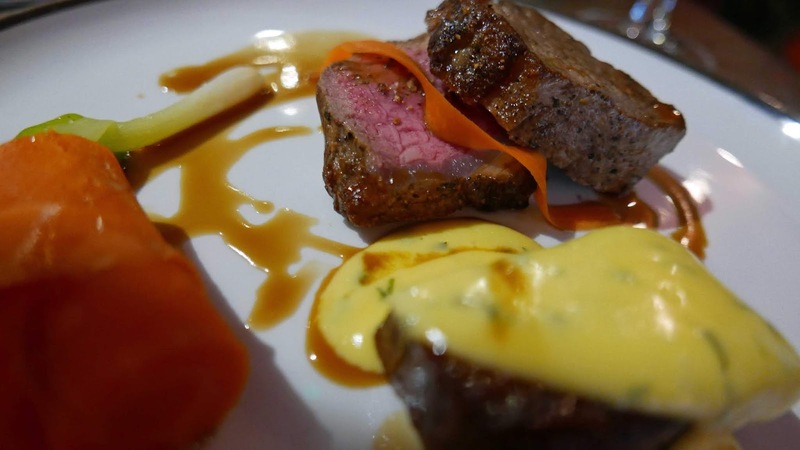 I think there were five mains on for the night and mine was the Striploin and Braised Brisket of Derek Walsh's Beef, Carrot cooked in Ale, Spring Onion. The local beef was spot on, even the carrot in ale was a highlight. 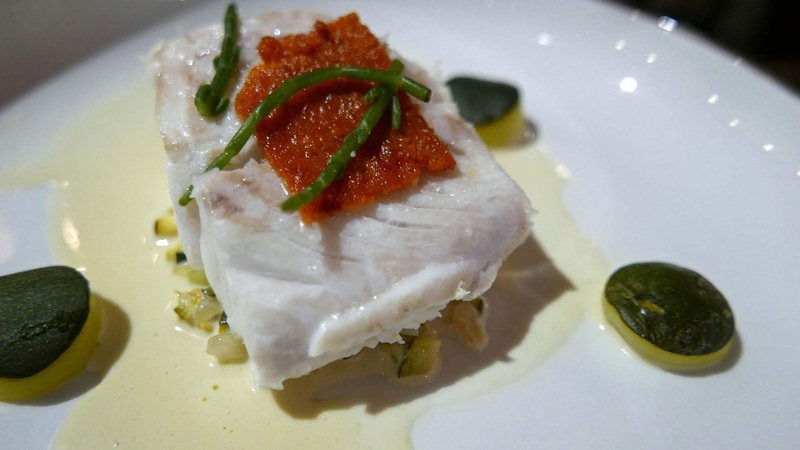 Meanwhile, the CL was happily tucking into her Fillet of Cod, N'duja Crust, Courgette, Samphire, Sherry Sauce. The shimmering cod looked as if it had just been plucked from the ocean outside Dunmore East. And the mash was smoother, certainly more buttery, than an electioneering politician’s words. Now for the real sweet stuff, the chocolat! At least, pour moi. 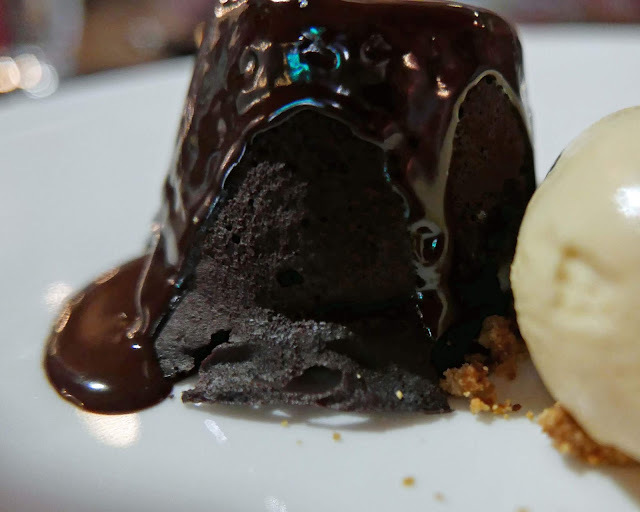 Opera Chocolate Fondant with Malt Ice-Cream had me singing, well metaphorically so, for I was the class crow, not even allowed in the group - no bum notes allowed in Mrs Shaw’s chorus. And there were happy notes coming from across the table as the Fresh Peach Purée, Raspberry and Elderflower combo struck the perfect balance, the Peach on the sweet side, the Raspberry on the tart. Quite a finalé at Everett’s. Just opened in the spring, they may be in their infancy but the stride is already confident, the outlook good.